TGM is overseen by Arriva Southern Counties so I suspect the vehicles will be ordered to Arriva specification. As TGM are a recent acquisition to arriva's portfolio I suspect the Network Fleets will obviously be of a different specification. I hope the TGM of the 90's has been replaced with a more professional approach. The company grew very quickly back then , won lots of routes and then began a real decline in quality and reliability. This lasted until the Travel London take over. They will probably use drivers who are currently driving Heathrow shuttle buses around and will be on much less pay than that of an equivalent Metroline , London United driver. I would not expect the Union to be too popular here either. Will route E10's E20Ds have the Arriva seat interior or will they have to TGM self-made? 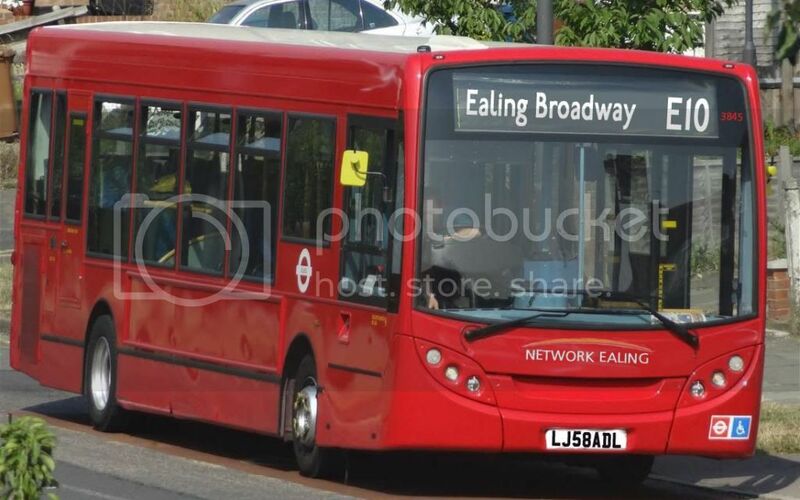 Who said they are ordering Enviro 200's? They will have their interior just like Go Ahead London & Metrobus have seperate interiors. TGM may even order streetlites! ...although recently they have been using at least one ex Arriva London North DAF DLP (I think it was DLP68) that still had its AD blind set in (as it was showing route 329 whilst in use on the University services). Seemed to be used for a week or so - can anyone local confirm if it is still being used? Colchester Borough Council seem happy with their services, yeah I'd prefer to see the Arriva name but there you go... It allows Arriva to get its foot in the door in the West Side and claw back some stuff from the sprawling Metroline empire created after the sale of First London. A different operator (its a shame all liveries are totally red though due to TfL) would make a change, though I can't fault Metroline at all. I will not be surprised to see Arriva fleetnames on the vehicles as well. If you go on a TGM bus in Harlow- the tickets still print out with the Arriva logo on them (well those with the London style Wayfarer machine do)! I've seen it quite a few times at Uni. Looks unprofessional IMO out on KU services. Tbh Metrobus made the X26 what it is today. The service has gone downhill under Quality Line imo. Wasn't the 726 bad under TGM? 1) TGM are not the same as they were back then so the service could be good this time if there were problems last time. 2) The 726 was a far longer route than the X26 is - in its longest form, it ran from Heathrow Airport to Dartford so if there were problems, the length of route could be a key factor. I agree about Metrobus. Bit harsh really for them to lose it and at least they used double deckers sometimes. London Coaches version of the 726 was very good. Capital Logistics was awful and there was.an improvement when T-GM started it , however i don't think the control of the route was good and the timing too tight.